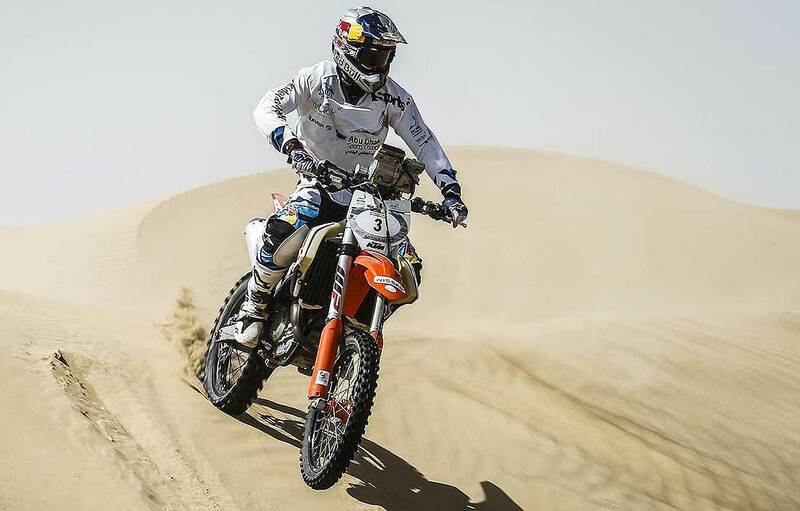 Top Emirati rider Mohammed Al Balooshi has set his sights firmly on a World Cup breakthrough next weekend as he looks to lead his team of Arab challengers to collective success in the Dubai International Baja. The multiple Arab motocross champion finished third in the event last year, but is relishing the chance to justify his No.1 seeding in the opening round of the 2018 FIM Bajas World Cup for bikes and quads. "I was quite happy with third last year but this time I’m looking to improve," said the KTM rider. "I’m a passionate rider, I race for a living, and I’m very excited to be taking part in the Baja World Cup again in Dubai. I’ve put in a lot of hard work over the last year and now is a good time to reap the benefits. I’m not thinking of who I need to beat. I race to improve my technique and my performance. If that happens to be good enough against the other names, that’s my goal. For me it’s always about evolving as a rider." 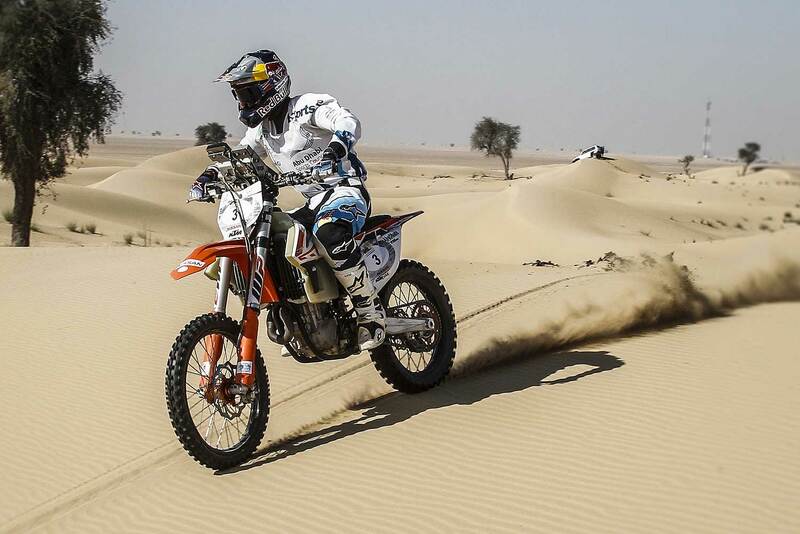 The Balooshi Racing KTM UAE team is, according to its founder and inspiration, capable of dominating the second edition of Dubai’s thrilling FIM World Cup cross country rally. Chasing a first FIM Baja World Cup win, Balooshi believes team-mate Mohammed Jaffar from Kuwait will be a strong contender for a podium place. He also feels his own younger brother Sultan and Kuwait’s Abdulla Shatti are both capable of top five finishes on their debuts in the event. "Mohammed leads by example, and can have a big effect on other Arab riders looking to follow him to success on the international stage in Dubai," said Mohammed Ben Sulayem, President of the Automobile and Touring Club of the UAE and Emirates Motor Sport Federation, and FIA Vice President for sport. The MX Academy set up by Balooshi in Jebel Ali in 2013 now trains 600 riders from around the Gulf region every year. Among the many young riders to benefit is Emirati Sheikh Ahmed Al Qassimi who is relishing the World cup test in Dubai. "He’s a new, upcoming rider with a lot of potential," said Al Balooshi. "Like all of us he needs guidance, and with the right people around him can be one of maybe ten or 15 guys in the future raising the UAE flag in World Cup rallies. We didn’t have academes when I was growing up. Now we cover the whole of the region and aim to encourage more young Arab riders to take up the sport and help them improve."